Fun Reindeer Facts for Kids. There are so many interesting facts about this animal! Let’s learn with facts about Reindeer for kids! We already learned many fun facts about many things and now it’s time to learn about a deer without whom Santa could not deliver all the presents on time! There are quite a few things that make this animal unique and I bet kids will love learning about them even more so if they believe in Santa – then you can even add the names of the reindeer in Santa’s sleigh (I’m sure they already know them all though). Let’s learn something about this fun animal shall we? Santa Claus’s sleigh is being pulled by flying reindeer in Christmas folklore. They live up to 15 years! Their antlers are like our fingerprints – no two are alike! A male is called a buck, a female a doe and a baby is called a fawn. Reindeer live in northern parts of Europe, North America and Asia. They are called reindeer in Europe and caribou in America. 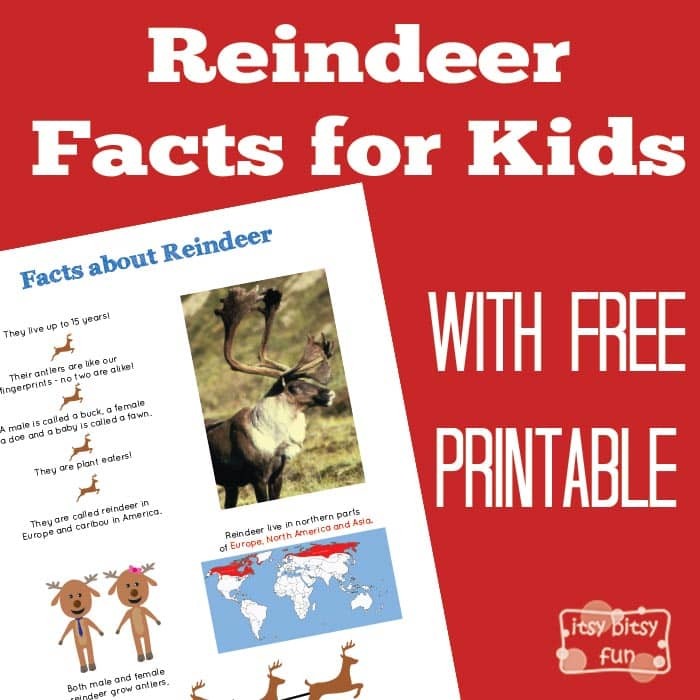 Free Printable PDF with Reindeer Facts. Reading the facts is one thing (and it can be sufficient if your kid is a reading type) but visualizing things can be even better. That’s why I’ve created this fun printable with all the facts illustrated to help kids “learn” about them. Combined with other printables they can even create their own fun fact book! 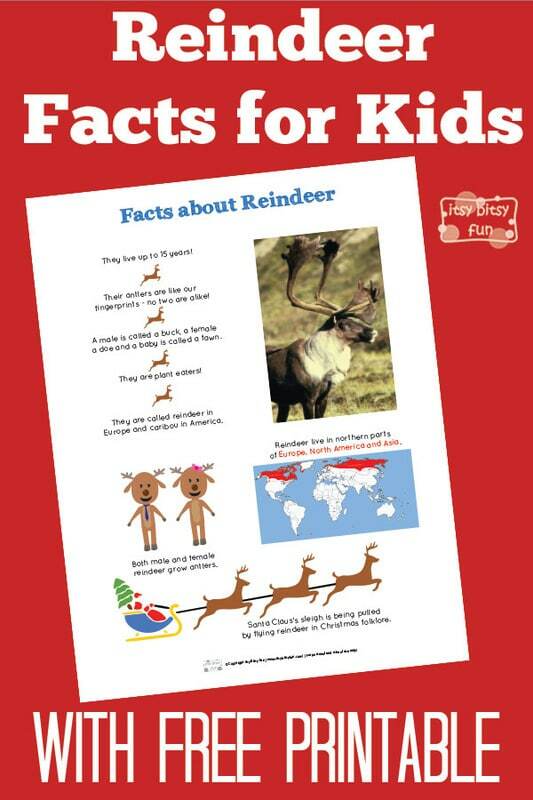 Get your free printable Reindeer Facts for Kids here.